I’ll never forget heading home from the hospital with Finlee, the baby I had been dreaming of for so long. I was so excited to get him home and start being a mum. However, what I didn’t know was that a combination of sleep deprivation, constant crying and my hubby going back to work meant things were about to get real. I started to realise that there are only so many hours in a day that you can speak baby talk, sing baa-baa black sheep for the 100th time and have zero adult interaction. I felt that the walls were closing in on me and that this wonderful world of motherhood wasn’t anything like I expected it to be. I could feel my enthusiasm for being a first time mum fading rapidly and instead started to feel lonely, isolated and under-supported. 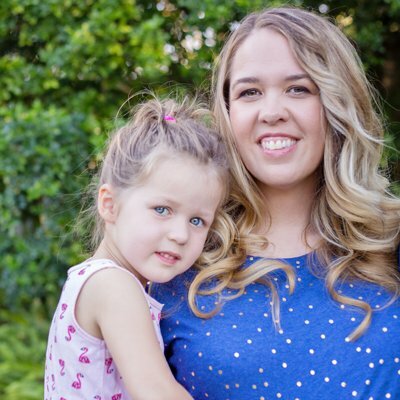 I knew I had to get out of my shell and connect with other mums, so I breathed in deeply, found my confidence and joined my local mother’s group. It was the best thing I ever did. If there is any advice I can give to a new mum it would be to join a mother’s group and embrace the social support that only other mums can offer. I’m from Canada and I have no family here in Australia, so I truly don’t know what I would have done without the support from my group. All the mums were a wealth of knowledge and a great source of advice when I was struggling with Finlee. I relied on their knowledge of feeding schedules, tips for comforting my crying bubba and what milestones babies hit and when. There was also all advice that helped me keep Finlee healthy and growing. Feeding schedules, growth charts, transitioning to solids, what’s this rash, should he be sitting up by now. You know how it goes for new mums… everything is a mystery and our friends help us crack the code. We used to keep each other on track with the immunisation schedule too – which vaccination was due and when. I knew how important it was to vaccinate on time, every time, but it’s really hard keeping up with the immunisation schedule when there are so many other things going on with a new baby. These days I’d be downloading the NSW Health Save the Date app to do all the remembering for me – you input your baby’s birth date and the app reminds you when immunisations are due. My mother’s group would have been recommending this app far and wide! 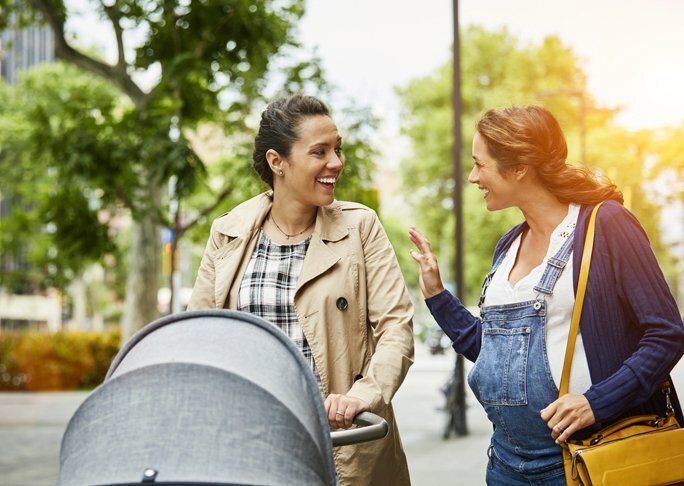 So, it’s a given: getting out and about with other mums can help make you feel better. But trying to meet the needs of any group can be difficult and especially tricky when the group is full of babies and kids. I thought I’d share my favourite ways to get together with other mothers so you can pick and choose the outings that suit your group best. Any of these ideas should suit groups small and large. Day trip.Plan a day trip with the other mums from your group. Getting out of your home town can be a great way to explore new things, try new restaurants and create new memories with your kids. You don’t have to go far, even a 45 minute drive out of your home town can be just what you need to recharge your batteries and remind yourself that there’s a whole world out there that doesn’t involve nappies and round-the-clock feeding. Make a popular local cafe, beach or playground your meeting point when you arrive. Get cooking.Plan the ultimate cooking day with your mum friends. Take the cooking load off of each other and have each mum bring enough ingredients to make one puree in bulk to share. At the end of the day, you’ll each head home with a variety of purees to feed your child and you won’t need to puree for at least a couple of weeks. Works for dinners for the grown ups in the house too. Movie time. Head to your local movies with your mother’s group. Most towns/cities have weekly mum and bub movie session times that are a terrific way to get out and watch a movie together. It doesn’t matter if your child cries because you’ll be surrounded by fellow understanding mothers. Picnic at the park.Eating outside and connecting with nature is great for the soul, so plan a morning or afternoon with other mums. Find a beautiful park that has some shade, swings, slides and plenty of running around room. You’ll feel great by being outside, but also you’ll love being around women who can understand what you’re going through. Make a meal of it and ask everyone to bring a dish and even a bottle of wine to share. Library time. Plan to get together at the local library. Many libraries offer a free story time program with stories, songs and dancing for the kids. If your local doesn’t offer a story time, you can always enquire about starting your own. Read a book aloud to the kids, add a few dance moves… a good way to connect with other mums while you also connect with your kids. While your there you can pick up some new library books or visit the toy library. I love heading to the library as the events are free and they help to keep the budget in line. Get creative.Arrange a kids’ craft day at one of the mum’s houses. Have all mums’ pitch in with getting the materials needed for your craft day by putting in $5 or $10. Agree on a craft that not only the mothers can get involved with, but that the kids can carry on with on their own. Spread a huge old sheet out on the lawn or deck and bring on the fun. Making something together (even something like a toddler collage) is actually really bonding for friendships. Tour the fire station.Kids of all ages love going to the fire station (mums equally love going there too. Must be the fire… trucks). Touring the fire station is not only a great way to connect, but it’s also educational too. The kids learn about what to do in the event of a fire, they’ll get to see all the clothes that are worn to stay safe and everyone will get to see the fire trucks up close! It’s a brilliant day out and the kids will be talking about long after the outing. Toy exchange. Far too often our kids are given an overload of toys which they outgrow or simply grow tired of. Hosting a toy exchange just makes sense. Have your mum friends bring the toys they’re happy to exchange out for a few months or forever. Then bring all the toys together and let the kids have a play during your time together. The excitement of all the toys is generally enough to give the mums a little peace for a while. Once the kids are done playing pick some new toys to take home with you for the next couple of months. This will help keep your budget on track and the kids will be so excited with the new toys they get to play with. Support a charity.People like giving back to their community so create a day where mums can get together to plan how they can support a local charity. It might be getting together all the clothes, blankets, nappies, etc that your kids no longer need and taking them to a women’s shelter, or you may want to make food together and feed the homeless. It doesn’t matter what you choose to do, as long as you’re doing it together as a group, spending quality time planning a project and even role modelling good citizenship to your kids. Get active. Arrange for your meet up to be somewhere you can get active and go for a walk. You may want to meet at a park that has a walking path, or take the bus or train into town together and then walk back to your car. If it’s raining, head to a local shopping centre and push your prams around there. Mum’s Night Out. Arrange a monthly Mum’s night out. Your night out might be to meet at a local restaurant, cinema, spa or at another mother’s house. The whole point with a mum’s night out is to have an opportunity to get to know the other mums, have adult conversation and enjoy some kid-free time together. Whatever you decide to do together, make sure you plan to do something. Mark out some days with your mum’s groups in your calendar and plan ahead. Regular dates with your favourite mums will give you something to look forward to and are an important break from the everyday. Are you in a mums group? What are your plans for the next few weeks? Download the Save the Date to Vaccinate app and plan your child’s immunisations too.